The MiG-35 is a highly versatile 4++ generation jet that’s capable of both deterring aerial aggression and launching airstrikes on ground targets. It successfully completed factory trials at the end of 2017 and is now being tested by the Russian Air Force. LUKHOVITSY (Sputnik) - All tests of Russia's advanced MiG-35 multirole fighter will be completed in 2019, Russian Aircraft Corporation MiG Director General Ilya Tarasenko told reporters. 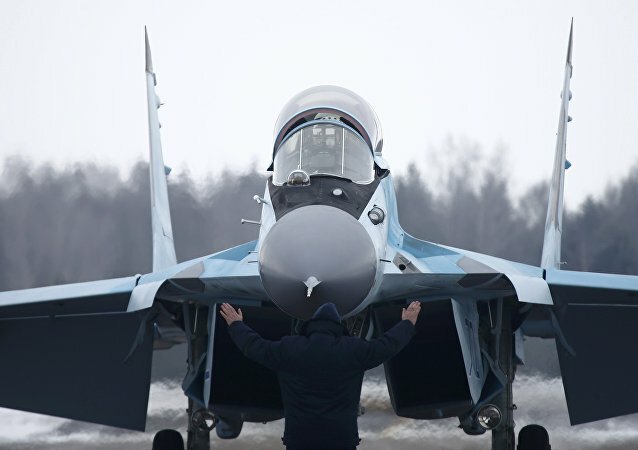 MOSCOW (Sputnik) - Russian Aerospace Forces may be able to receive deliveries of MiG-35 jets ahead of schedule in a bid for the manufacturer to keep up the rhythm and save money, the president of the United Aircraft Corporation (UAC) told Vedomosti newspaper. ST.PETERSBURG (Sputnik) - Russia’s United Aircraft Corporation (UAC) has begun flight tests of the next-generation MiG-35 multirole jet, the company’s president told Sputnik. 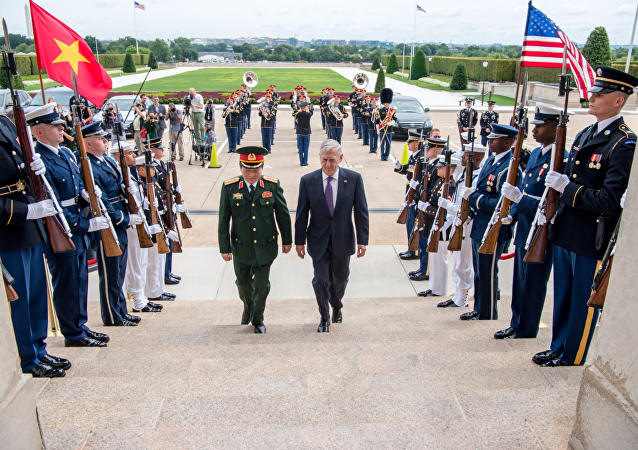 During the recent meeting between Vietnamese Defense Minister Ngo Xuan Lich and his US counterpart James Mattis, the two defense leaders agreed to deepen mutual military cooperation. Speaking to Sputnik Grigory Lokshin explained what lies at the heart of US-Vietnamese rapprochement. Russia's Aerospace Forces will receive more than 100 state-of-the-art planes and helicopters in 2018, according to Aerospace Forces Commander Col. Gen. Viktor Bondarev. The 4++ generation multi purpose fighter jet was showcased on July 18 at the 13th MAKS 2017 International Aviation and Space Salon on the Gromov Flight Research Institute airfield in Zhukovsky, Moscow region. The Russian Defense Ministry will begin purchasing MiG-35 fighters from 2018 as part of the new state armament program, Russian Deputy Defense Minister Yury Borisov said Tuesday. Mass production of the Russian MiG-35 multirole fighter jet is expected to begin during the next two years. 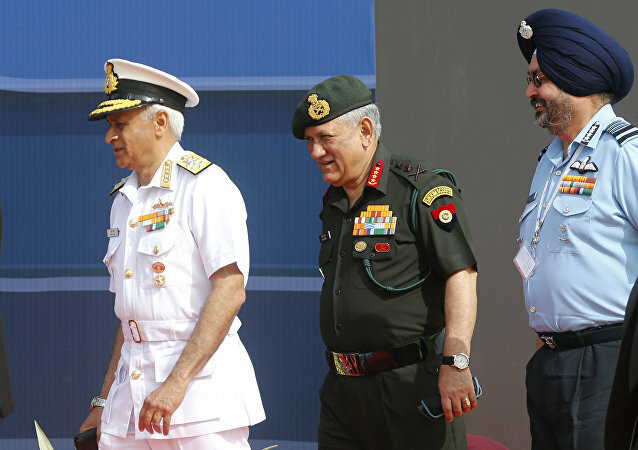 An official representative of Russia’s Centre for Analysis of World Arms Trade said that Russia’s United Aircraft Corporation with its advanced MiG-35 fighter jets is one of the key candidates to win a contract to deliver eight multi-role combat aircraft to the Bangladesh Air Force. 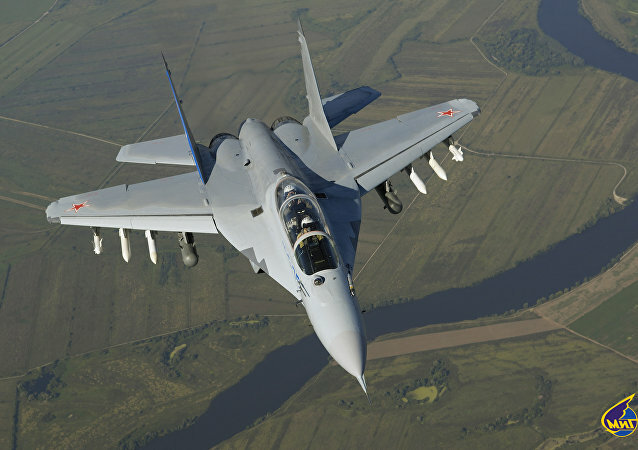 Russia mulls conducting presentations of the MiG-35 multipurpose jet for particular buyers.